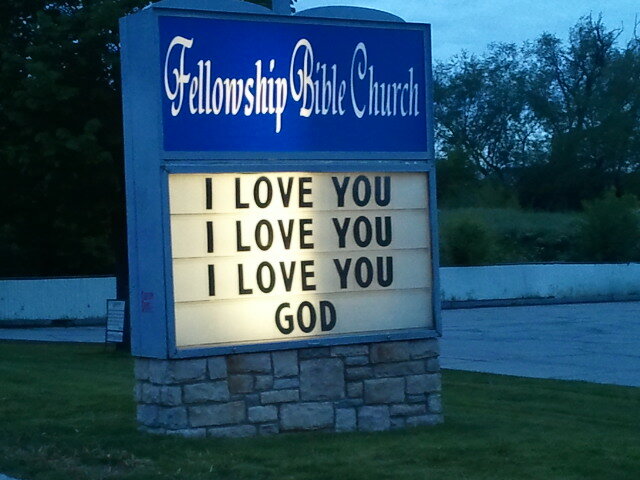 I think the sign is saying I love you God 3 times. Because God would say I love you to us WAY more often than we probably do to Him. I always like driving by that church and seeing what clever or sweet message they have that week.